If you are looking to run Android on your PC, then you can find many emulators available. For those who are wondering, there are various reasons why you might want to use an Android emulator on your Windows PC. For instance, gamers can enjoy Android-specific games on a larger screen, Android developers can debug their apps right onto their desktop, and the list goes on. Playing or testing the apps on your mobile might be inconvenient because of its small screen size if you get to play or develop the same games or software on your PC or MAC, how great it would be. To do this, you don’t need an extra hardware device, or it doesn’t require any basic knowledge of coding. 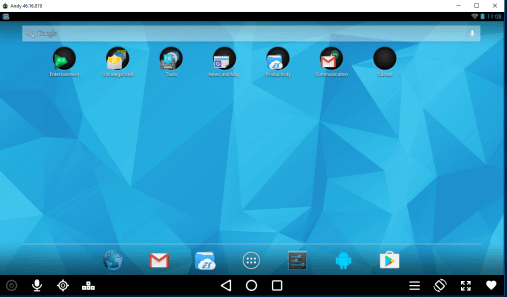 By simply installing an Android Emulator on your PC, you could do what you want. 1 What is the Android Emulator? 1.1 How do Android Emulators work? 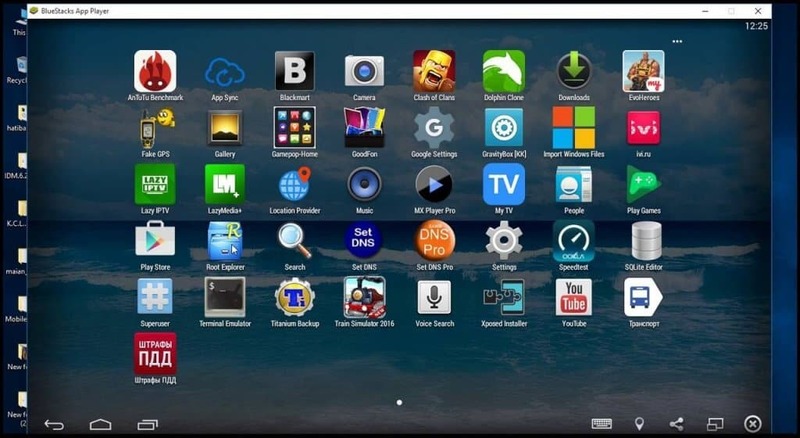 Android emulator is a software that will let you install Android apps on PC. In the recent years, Android emulators have become increasingly fashionable. This isn’t surprising because there are a lot of valid reasons why someone would want to run Android emulators on their PC. They are easy to access, and they offer the perfect way of benefiting from the range of Android apps directly on your computer. Don’t you find it often more comfortable to test apps on a desktop than a mobile device? If you love to play all the mobile games on the PC, then you will get to have the most benefit by using this Emulator. The major use of this is that there is the appeal of being able to play mobile games on a much larger screen. It is typically used for deploying apps that are developed in your IDE without actually installing it on your device. However, choosing the correct Android emulator might become a daunting task, as if not appropriately selected they can really slow down your Computer. This is why we have listed the best Android Emulators for PC in the following article. Read out to know which one will reach the expectations you are looking for. Before going into the details of what are the best emulators, let us take a quick note on how it works. Emulators are the programs which are basically mimic or act like operating system and hardware of other machines. When you want to install an emulator, you need to get a virtual console in which you can install other apps and play around with the system. Earlier if you want to check out Android, you need to buy a device, develop and test your own Android apps, and expand Windows paltry app selection, or sync apps between your Android mobile or tablet or your PC, you have several utilities to choose from. As you get to know how it works and what it is, let’s us know the best emulators that work great for you. You might be wondering why I should know about the best one; I can try any of the emulators which I want. But the problem with Android emulators is that a lot of them are finicky and tend not to work as advertised. 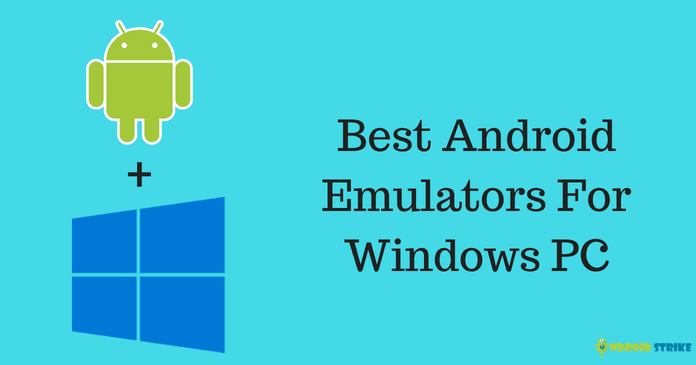 So, it is essential to look for the best Android emulators for Windows PC. You might have heard about this Emulator because it is the most popular mainstream of all Android emulators. It is compatible with both the Windows and Mac. This emulator is currently one of the oldest first ever private Android emulators for Windows. Due to this fact, it has some features which are not available on any other Android Emulators. In terms of reliability, it is probably the most stable one. 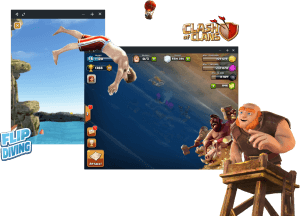 The recent version of Bluestacks has updated it to Android Nougat. This version can launch multiple instances simultaneously. This means that you can play various games at once. This version is available for free of cost along with a great gaming experience. It also provides the facility of live streaming support and inbuilt play store support. The only thing that keeps you to look for other emulators is the ads can often appear to be somewhat intrusive. It tells you in an explicit message to display advertising that promotes apps in order to allow you to continue using the service for free. You can pay a sum of money to stop the advertising, and you can use the service without any disturbances. If you want to know how it works, then you can check out the sample game which the Bluestack offers. 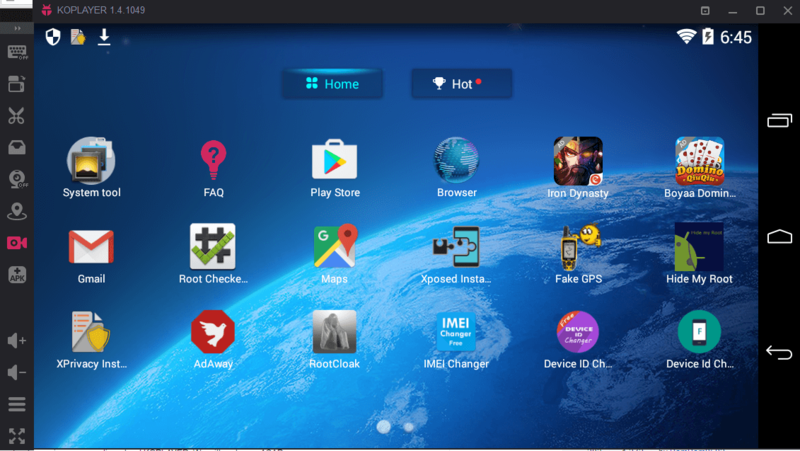 Nox is another power-packed Android emulator that came up with a powerful Android experience on your PC. This emulator provides the ability to specify the specifications like the type of processor and size of RAM that needs to be used by the Emulator so that it works smoothly. Nox App Player has a notable advantage over Bluestacks that is it is available for free with no advertising. Nox even lets you emulate GPS hardware on your PC, and this helps you to be fake your GPS location. You will also be able to do things like the game with an actual controller. The full-fledged operating system expands your possibilities even more, and you could install apps directly from the Google Play Store or install through APK’s. Even though Nox is based on Android 4.4, it offers various features like controller support where you can also use your Gamepad to play the games on Nox emulator. Also, You can easily simulate the actual gesture movements directly on your keyboard or joystick if you have one. Playing games using this emulator adds a lot of fun, and it works well most of the time. You could also make use of this emulator to test out your apps or games if you are a developer. If you are tech savvy and looking for something different, then Bliss is for you. This emulator is based on Android Oreo which is a step up even from Bluestacks Nougat, and it works for PC through a virtual machine. Before deciding to use Bliss, you need to ensure that your device is compatible otherwise it will not run very well. The set-up and the USB installation method can be quite complicated, but it lets your PC to run Android natively through a USB or VM installation (the process is fairly simple). If you want to know more, you can check out the Bliss forum on XDA developers, or you can directly head out to their website. Andy is an interesting emulator which has come up significantly over the last year which is resulting in an improved navigation mechanism which is more responsive with a mouse. 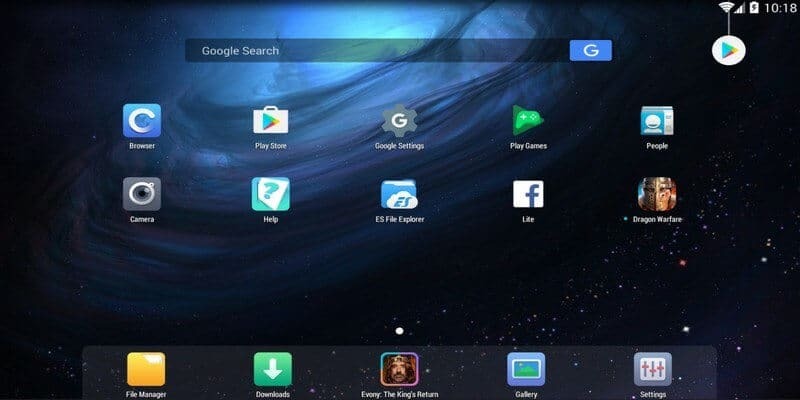 It is based on VMWare Player, and the primary idea behind Andy is to bring Android gaming to the desktop, and there is support for not only Xbox and Play Station controllers, but also the option of using your Android phone as a gamepad. In terms of features, it is slightly less comprehensive than others. But the stability offered by this emulator is excellent at all levels. The installation of this emulator takes up to 3GB, and there are a couple of unwanted options in the installer, so take a close look and decline them if you don’t like it. It is available for both Mac and Windows, and it also gives you the option of rooting your virtual Android device to run more software. This emulator is available for free if you want to download it for personal use. If it is for business, Andy OS charges $12 per month, or it is also available for $99 per year. By purchasing this version, users or professionals who wish to contribute will get to have with emulator compatibility of Mac and Linux, and also Windows along with the Premium support and access to all of Andy OS’s previous versions. Remix OS player is an operating system that is based on the Android x86 project. It is compatible with both Windows and Mac. Remix provides the simpler way of using it without going through the hassle of installing it. 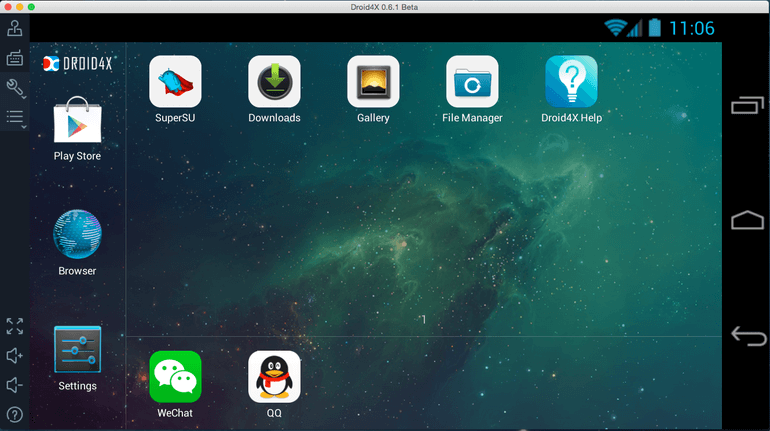 It is a free Android emulator for Windows based on Android 6.0 Marshmallow. One thing you need to make sure before installing Remix OS Player is that it does not support some AMD chipsets and it also requires Virtualisation Technology enable in your BIOS. Running this emulator for the first time will greet you with a fresh looking interface, complete with the taskbar on the bottom and a shortcut button to access all the installed apps. It supports Google Play Store which means you can download the apps and games without needing any extra setup. The Remix Central app provides you with the recommendations of all the trending apps and games which you can download. The team acknowledges that something is gratifying tremendously about the button mashing while gaming that sometime you just can’t get for a touch screen and so they have heavily optimized Remix OS Player for gaming. The main use of this emulator is that you can mao the keyboard buttons and manage multiple games simultaneously on one screen. If you are a developer, then you can get most of it. You can manually set signal strength, location, network type, battery and lots of other things which can help you debug your Android application. Memu is a light-weight and high-performance Android emulator that comes in few kernels and support Android Jellybean, KitKat, and Lollipop. Unfortunately, it comes preinstalled with Android Jellybean 4.2 and upgrading it to Lollipop requires downloading additional packages. You can install the apps very easily from outside the Google Play Store. It is one of the newer Android emulators on the block which has managed to make quite a name for itself and with a good reason. If you want to get the best performance, then it is important to enable virtualization for your CPU. You can also create multiple instances & perform a sort of multitasking within the emulator, which sounds cool though. It is compatible with Intel, Nvidia powered Windows PCs, and unlike other emulators, it is also compatible with AMD chipsets. The support levels of integration and dedicated graphics are great. There is a wealth of keyboard mapping options to enhance the performance of your gamin, and you also have the option of installing software via the Google Play Store or by dragging and dropping APKs on to the program window. You can also run programs like PUBG (Game) without any loss in graphics and performance. It is a flexible emulator, which means that the user can configure the CPU, RAM, device model & other settings. By using this, you can also get additional features like faster loading times, keyboard mapping, secure file sharing between Android and windows and many others. KO Player is one of the best emulators where a lot of people does not pay attention to it or let it fly under their radar. This is because it is the latest kid on the market, but it proves and stays to its promise at the same time. It is a gamer-centric Android emulator for windows. It is compatible with most of the games and apps, and it comes by default on Google play store. The feature of adaptable resolution makes it the best solution for apps such as Netflix, Youtube, and others to watch the content in full-screen. This emulator caters more towards the gamer; you get the features like the ability to remap. You can even emulate a controller with your keyboard. The unique feature about KO Player is that it allows its players to record their gaming footage and they can also upload it anywhere. Other features include drag and drop for installing apps and it supports most of the wired/wireless keyboard, mouse, and trackpads. This emulator requires a discrete graphics solution and virtualization technology where you could easily enable in your BIOS settings. It is compatible with both AMD and Intel processors platforms that made it reach most of the user. The only disadvantage of this emulator is it is available for Windows users but not to Mac. LeapDroid is another powerful Android emulator which was acquired by Google recently and eventually, it got shut down. But you can still download it from other sources. LeapDroid manages to be one of the most robust Android emulators around. It is based on the Android 4.4 KitKat and comes with all the AOSP apps like music, browser, camera, and many more. You can directly install the APKs from your PC, or you can download it from the Google Play Store. The home screen offers shortcuts to download the popular game titles such as Pokemon Go and Clash of Clans. You can get Android apps and games up and running in no time as it comes with full support for Google play store. This emulator supports keyboard mapping which means you can play the games conveniently with keyboard shortcuts instead of having to fiddle around with your mouse pointer awkwardly. Not only this, but it also comes with full-screen mode support, a screenshot tool and the option to choose the graphics rendering mode between OpenGL or DirectX. You can also set gesture details and simulate pinch zoom using the scroll wheel of your mouse. LeapDroid is really impressive if you do not consider the fact that it comes with Android KitKat. Droid4X works flawlessly even though it does not have the most attractive interface. This intends mainly on the Android game, and the focus primarily lies on the games. Unlike other closed off emulators, this one is more open because it allows users to have control including all basic Android settings. Like other emulators mentioned, you can also store videos as well as images of your face using this emulator. If you want to give gaming a go, it’s worth noting that gaming controllers are compatible. To verify the controllers, Droid4X asks you to scan a QR code. You can also change the display resolution as well as emulator’s performance level from the emulator’s settings. The app recommends not to use more than half of your PC’s capacity to this. For instance, you will need to allocate 2 GB out of the 4 GB of RAM and 2 out of 4 quad-core processors. Since Droid4X is mainly focused on Android games, it can run the entire Android game library with ease. However, this emulator can also be used for productivity purposes as well. It is compatible with both PC and Mac. Installation is very simple, and it is more straightforward to use. Even though it is not the perfect emulator, it is the one that will get your job done. It is available for free, and it also has a Mac version. AMIUDuOS is also referred to as DuOS, which is the Android emulator developed by American Megatrends, a Georgia-based company. This emulator is based on Android 5.1 Lollipop, and you can also download the Jellybean based version. You need to ensure the Virtualisation Technology is enabled in your BIOS and you have a Microsoft Net framework 4.0 before installing DuOS. The essential thing that you should know is it does not come with the Google Play Store, but instead, it runs with the Amazon apps Store. When it comes to the apps and games Amazon’s offering is nowhere near to the Google Play Store. But it is not much of a problem because you can always install APKs in DuOS. Coming to the hardware side of things, it supports gamepads and other external hardware GPS. The configuration tool allows you to set the amount of RAM, frames per second and DPI manually. The main benefit of using this emulator is that it has the ability to run in root mode meaning you will essentially have baked-in root user privileges and can run all the awesome root apps for Android. It does not support keyboard mapping feature, so playing games might going to be inconvenient unless you attach an external gamepad. You can install the APKs directly in DuOS by just right-clicking on an APK in windows. AMIDuOS offers a free 30-day trial version. If you want the full version, you will have to pay a minimum of $15. Geny Motion is a quick and powerful Android emulator for Windows and Mac. It is a great alternative to Android Studio’s default emulator. This emulator intends mainly for development purposes, but you can also use it for personal purposes too. Before installing this, you need to make sure that you have enabled the Virtualization Technology in your BIOS and you also have the latest version of VirtualBox installed. If you want to use this app, you will need to sign up for an account. 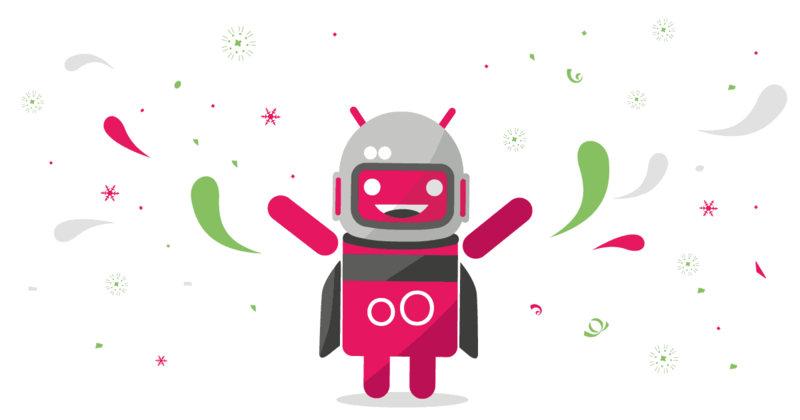 The main benefit of using Genymotion is that it allows you to select any Android phone to simulate and choose to install any Android version starting from Android 4.4 to Android 7.0 Nougat. It is available in both free and premium versions. The free version comes with support for manually setting GPS coordinates, camera, and battery level. The premium version unlocks many new features like remote controlling and screencasting of Genymotion using your actual phone. It also provides a cloud-based online emulator where you can try right within your browser. Genymotion comes with the plugins for Android Studio, Eclipse, and IntelliJ IDEA to help developers test their apps directly within the integrated development environment. Although it doesn’t come with the Google Play Store by default, you can have it manually by installing GApps with a little bit of setup. So, the list mentioned above is the best Android emulators for Windows which you can use it to run Android apps on your PC or Mac. Whether you’re a developer looking to test apps or you’re a casual user looking to play some games, you will undoubtedly find the best emulator for your need. Depending on your requirement, you can choose the best one. If you are a developer who wishes to test the apps, then you can go with Genymotion. If you are a gamer, then you can go for Remix OS player, MeMu, and other emulators too. This is an incredible list of android emulators for pc I must say. Thanks for also clarifying which tech tool can be used for which purpose.